Jim Fitterling, CEO A simple yet insightful quote from Benjamin Franklin reads, “When the well’s dry, we know the worth of water.” Owing to the decades of sheer negligence in water management, experts around the world have confirmed that if this continues, humankind is bound to witness one of the biggest crises in the not so distant future. The precautions and measurements we take today will decide the fate of our future generations and society as a whole. As the world’s population continues to increase and new economies emerge, it demands solutions that can meet its most basic needs such as water. Given the urgency of the situation, several entities including government organizations, social thinkers, and NGOs have joined forces and amped up their contributions and initiatives to provide the world with a permanent solution for the inevitable water crisis. Although numerous solutions have been devised to meet this need, they have been either too expensive for mass adoption or infeasible to be installed across the globe. In order to truly meet the world’s growing water requirements, businesses in the 21st century require taking a holistic approach to water management that can compensate for natural variability and improve the quality and quantity available. This is what the Dow Chemical Company (Dow) intends to deliver to the world. For over 50 years, Dow has been a leading supplier of advanced water purification and separation technologies worldwide. The Michigan-based company offers water and process solutions for all aspects of water treatment, from system design assistance to long-term system optimization and troubleshooting. Dow’s team of dedicated scientists rise to the challenges of delivering clean water to the world via premium cation-exchange resins and packed bed technologies that offer high-efficiency, high-temperature ion exchange softening. To achieve this seemingly impossible goal, the company has established regional labs around the globe that work in tandem to help drive new production from both conventional and unconventional water sources. 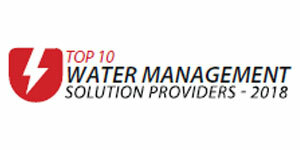 Dow offers a range of water technologies to meet the unique water resource management needs of the organizations in the hydrocarbon exploration and production industry. The company offers Dow FILMTEC™ reverse osmosis, nanofiltration membranes, and Dow ion exchange products that can provide complete and tailored removal of ionic contaminants from source waters for injection, or produced waters for discharge. FILMTEC pioneered the production of automated element rolling in 1994, and since then, Dow FILMTEC elements have continually delivered a significant surge in active area per element, including wider feed-spacer in 400 SF elements. Dow’s patented iLEC interlocking technology, which is unique to Dow FILMTEC elements, allows for easy and leak-tight installation. Additionally, the Dow FILMTEC SR90 nanofiltration membranes have set an industry standard for the purpose of removing sulfates from injection water used in oilfield operations. The secret to UF membranes’ success lies in its ability to offer high-quality feedwater that is free of fine particles, colloidal matter, and bacteria. This results in higher production rates along with lower weight and smaller footprint requirements compared to conventional treatment schemes. In addition to removal of ionic contaminants from source waters, Dow ion exchange resins help to protect nuclear and fossil fuel power generation components from corrosion, decreasing maintenance costs and reinforcing plant life. Dow provides boiler make-up and condensate polishing solutions in the conventional island and for the removal of mercury, boron, and other contaminants traces in the flue gas desulphurization unit (FGD). Dow is the first and sole supplier to offer reverse osmosis, ultrafiltration, and ion exchange components—Dow FILMTEC reverse osmosis elements and DOWEX™ ion exchange resins—in an attempt to provide a comprehensive solution to treat waters generated by the extraction of coal seam gas. One of the leading innovations from Dow is the TEQUATIC™ PLUS fine particle filter, a new filtration technology designed to filter difficult-to-treat oilfield waters with high total suspended solid particles. Furthermore, the company’s portfolio of ADSORBSIA™ adsorbent media, specialty resins, and Dow ultrafiltration (UF) membranes offer complementary tools to improve the performance of oilfield water systems. Dow also offers a wide range of water treatment technologies, combined with the technical expertise to treat the water produced by shale gas or oil extraction via hydraulic fracturing techniques. DOWEX OPTIPORE polymeric adsorbent solution in tandem with Dow’s ion exchange offerings promotes the reuse of flow back and produced waters by removing harmful metals and organic compounds, such as BTEX. As a repercussion of the growing population, treating municipal wastewater for reuse presents a reliable and safe option to help mitigate drought and provide clean, potable water to residents. The Orange County Water District (OCWD), owing to its predominant water scarcity, has long been an innovative leader in recovering municipal secondary-treated effluents to create reusable water. To accomplish this, the county has devised the Groundwater Replenishment System (GWRS)—a 100 million gallon per day (mgd) advanced water purification facility that uses reverse osmosis (RO) membrane technology as the main equipment of the treatment system. Due to the stringent regulations over the quality of reclaimed water, Orange County’s state-of-the-art treatment plant uses a multiple barrier water processing unit. As a part of the process, the facility initially implements a microfiltration pretreatment that helps in eliminating microorganisms and large, suspended particulates. The water is then pushed through an advanced RO treatment system, which removes viruses and dissolved chemicals in the water. As the last step of the process, advanced oxidation (UV and Hydrogen peroxide) disinfects the water and destroys remaining low molecular weight compounds including those that must be removed to parts per trillion levels. Most of the purified water is then disseminated to replenish groundwater aquifers or injected underground near the coast to protect the aquifer from seawater intrusion, thereby providing Orange County with an uninterrupted supply of purified drinking water meeting or exceeding all state and federal standards. "Dow FILMTEC™ reverse osmosis, nanofiltration membranes, and Dow ion exchange products provide complete and tailored removal of ionic contaminants from source waters for injection, or produced waters for discharge"
The Orange County endeavored a long-term strategy to further improve efficiency and productivity in wastewater treatment for reuse with the new RO membrane. Dow has provided the OCWD with a series of prototype membranes—targeting higher permeability and fouling resistance without compromising rejection. As a result, five prototype membranes have been developed and evaluated to date, and its performance data indicates progress in reducing the energy requirements, which contributes significantly to the cost-effectiveness of a large-scale water reuse project. OCWD and Dow are currently experimenting with multiple membrane technologies to identify the best option for drought-proof water and create a long-term partnership. With the aid of the trial tests, OCWD and Dow have installed RO membranes enabled with higher sustained permeability without compromising on the permeate water quality, consequently offering high quality, drinkable water at lower energy costs. At full operation, the current OCWD facility purifies more than 100 million gallons of treated wastewater per day to provide clean, high-quality drinking water to homes and businesses in north and central Orange County. Collaboratively, Dow and OCWD research and development teams aim to create technologies with the capabilities of being implemented across countries, paving the way for wastewater reuse to emerge as an attainable reality for water-stressed communities. Water scarcity motivates Dow to develop advanced technologies and strengthen industry and business partnerships to help provide the world’s population with access to the most essential commodity such as water. Dow uniquely combines the power of science and technology to help address many of the world’s most challenging problems, such as the need for fresh food, safer and sustainable energy efficiency, transportation, and clean water. The company has set the cornerstone in being an inspiration to numerous business verticals for effective water management. Working toward the goal of a sustainable future, Dow has launched Water Blueprint—a part of Dow’s 2025 “Leading the Blueprint” Sustainability Goal—committed to building collaborative models for better stewardship of water and watersheds.